New Zealand Foreign Affairs Minister Murray McCully and Primary Industries Minister Nathan Guy today announced that the New Zealand Government has ratified the 2009 UN Food and Agriculture Organisation’s Agreement on Port State Measures to Prevent, Deter and Eliminate Illegal, Unreported and Unregulated (IUU) Fishing; an agreement designed to fight illegal, unregulated and unreported fishing. To view the a PDF of the PSM Agreement click this hyperlink. The FAO’s PSM Agreement sets minimum standards for port access by foreign flagged fishing vessels and related support vessels. 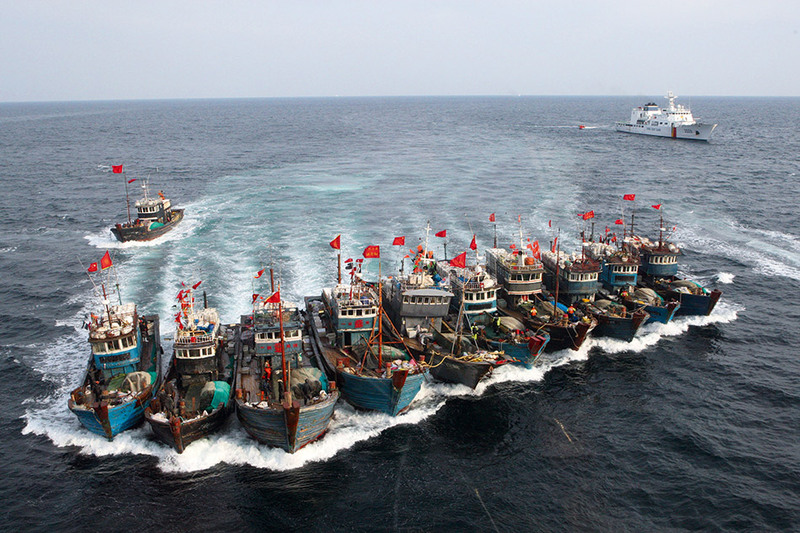 Adopted in 2009 by the U.N. FAO, the treaty requires parties to exert greater port controls on foreign-flagged vessels, and as a result to keep IUU fish out of the world’s markets by removing incentives for the practice of IUU fishing to continue. “Widespread implementation of the agreement would make it more difficult and less economic to undertake illegal fishing… It would mean New Zealand fishers could operate in high-value international fisheries with less threat of illegal fishers, while ensuring sustainability of the oceans…. A chase at sea near South Korea: an entire fleet of illegal Chinese fishing vessels attempts to evade the South Korean Coast Guard. This entry was posted in Africa, FAO, Fisheries Management, Food Security, High Seas, International Environmental Law, International Organisations, New Zealand, Politics, Port State Measures, PSM, Responsible Fisheries, Sustainable Use, un-sustainable use and tagged Agreement on Port State Measures to Prevent, Deter and Eliminate Illegal, FAO, Food and Agriculture Organisation, Illegal unreported and unregulated fishing, New Zealand, Port State Measures (PSM), PSM, ratification, removing incentives, Unreported and Unregulated Fishing. Bookmark the permalink.